The SAFE® concept is used to inform and educate our peers to improve safety and efficacy in cosmetic medicine and Aesthetic surgery. The course content elucidates the science behind the materials/products used in daily practice, evidence-based information for efficacy, longevity and safety of fillers including bacteriology, antiseptics and biofilm. The anatomical layers are shown in a clear manner including marking and surface anatomy. These include the most clinically relevant SIX regions (forehead, temple, tear trough, cheek, lips & perioral, jawline & neck). The location of danger zones, nerves, arteries and important mimetic muscles and their possible variations are delineated. The synergy between volumisation, use of toxins and fillers will be emphasised. 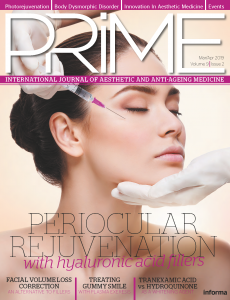 Updates on science of dermal fillers and other related techniques will be summarized in a clinically relevant manner ranging from the choice of filler for each area, how to differentiate between different HAs, combination with PRP, EBD (lasers), etc. Moreover, specific acute and late complications and treatment until dealing with previous “filled” zones will be also covered. The course covers basic, intermediate and advanced injection techniques on different areas and is tailored for the interests and needs of the delegates. A pre-course questionnaire will be sent to evaluate these requirements. Other aspects of treatment will be covered such as pain control and patient comfort and dealing with anxiety and difficult patients.